ShoreTel’s easy-to-use management tools simplify the maintenance and monitoring of your ShoreTel's on-premise unified communications (UC) system. IT staff can manage the system from anywhere on the network, freeing up energy and resources for more mission-critical tasks. 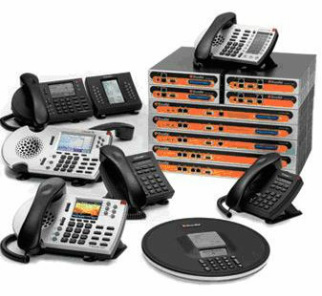 ShoreTel Director provides the core management of the ShoreTel UC System. Shoretel Director is a Web-based tool that streamlines the management of all voice applications across locations into one best-in-class interface. ShoreTel’s Remote Monitoring portal provides an over-the-shoulder view of deployed ShoreTel devices being monitored. Shoretel Remote Monitoring has a user friendly dashboard for viewing performance statistics, as well as the ability to create ad-hoc reports. ShoreTel Business VoIP in one word: "EASE" - ShoreTel's premise-based business VoIP phone system integrates end-users' communications, enterprise applications, calendaring, and workflow into one seamless environment. Built from the ground up for IP, the on-premise business phone system behaves like a single, unified platform, and scales with plug-and-play ease across sites and locations. Your IT staff can easily deploy and manage it - from nearly anywhere - via a browser-based interface, ShoreTel Director. ShoreTel Business VoIP in two words: "ABSOLUTE RELIABILITY" - Downtime is not an option. The switch-based hardware platform has no single point of failure or spinning media: each switch and site functions as an independent call processor. In the event of a WAN failure, the VoIP phone system continues to place and receive calls on the Public Switched Telephone Network (PSTN) without disruption. ShoreTel Business VoIP in three words: "RETURN ON INVESTMENT" - Many customers report a return of investment within a year. Over the long term, ShoreTel offers the lowest total cost of ownership in the industry, and helps reduce costs company-wide by streamlining business processes. ShoreTel Business VoIP in four words: "THE SUPPORT YOU NEED" - You can count on ShoreTel's obsessive commitment to customer satisfaction whenever you need it. Independent surveys, industry awards, and carefully monitored feedback from customers confirm it: our business VoIP phone solution sets the standard.